Government House leader John Baird has denounced Liberal Leader Michael Ignatieff and NDP Leader Jack Layton as "Toronto elites" over their support for the federal long-gun registry. His comments come as opposition parties signalled they have enough votes to defeat a Conservative backbencher's private member's bill to repeal the registry when the House of Commons returns next week. Speaking to reporters in Ottawa on Thursday ahead of the fall parliamentary session, Baird said NDP MPs who switch their votes will face retribution in their constituencies. "I share the disappointment of many of my colleagues that people who had fought so long, so hard, so passionately against the registry are now feeling the pressure from the two Toronto leaders, Mr. Ignatieff and Mr. Layton," Baird said. "We're all accountable. If we make clear and unambiguous promises in our constituencies and then face pressure from Toronto elites, [MPs are] accountable for that." 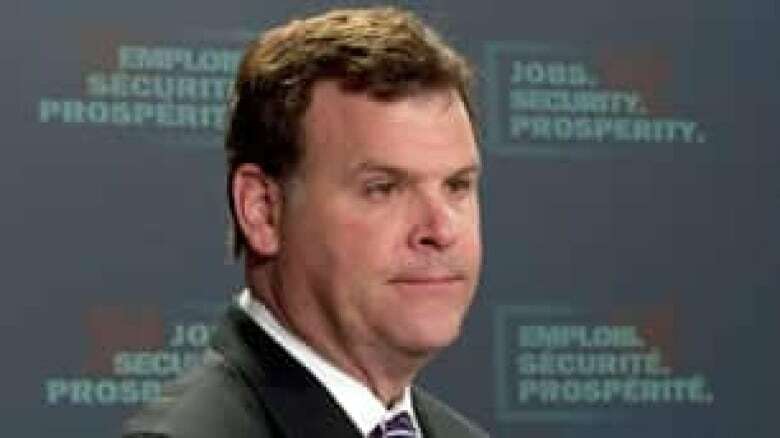 But Baird, who was named his party's House leader over the summer, also said he hopes his opposition counterparts will work with the government on the economy, which he identified as the Conservatives' top priority for the upcoming session. Baird's comment drew a quip from Liberal transport and infrastructure critic John McCallum, who said it shows the "two faces" of the new government House leader — the "conciliatory" and "pugnacious." "It's a bit much for Mr. Baird to criticize our members for voting with the party when his own members are whipped to vote the other way," McCallum said. He said the Liberals are determined to save the registry and will work on their proposed compromises to address rural Canadians' criticism of the program. In recent days, several of the dozen NDP MPs who initially voted in favour of Conservative MP Candice Hoeppner's bill have said they will switch their votes because they have had enough of Conservative attack ads targeting them individually in their riding over the issue. Layton, speaking to reporters on Thursday in Ottawa alongside two members of his rural caucus, called on Prime Minister Stephen Harper to "stop the reckless games" and work with opposition parties to address the problems rural and aboriginal Canadians have with the registry. "You don't have the votes to adopt the bill, but you do have the power to work with us to fix the registry," Layton said alongside Timmins MP Charlie Angus and Sudbury MP Glenn Thibeault. Angus and Thibeault hit out at the Tories for saturating their ridings with "U.S.-style" radio ads and billboards questioning their position on the registry, as well as Hoeppner's appearances during her summer tour in defence of her bill. "She's coming into my riding to tell people what to think," Thibeault said. "She hasn't asked to meet me." Ignatieff and Layton have proposed making a first-time failure to register a firearm a non-criminal ticketing offence and waiving fees for new licences, along with other changes to address the objections of rural and aboriginal Canadians over the registry. 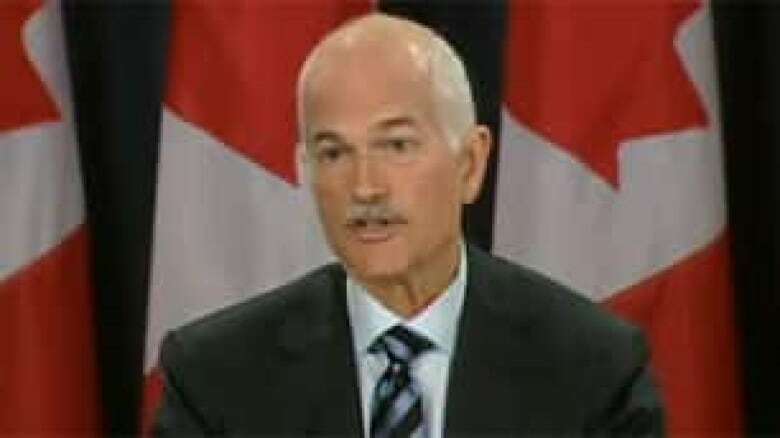 NDP Leader Jack Layton has called on Prime Minister Stephen Harper to work toward a compromise on the long-gun registry that addresses the concerns of rural and aboriginal Canadians, as well as protecting citizens. ((CBC))Meanwhile, NDP MP Carol Hughes, who represents the northern Ontario riding of Algoma-Manitoulin-Kapuskasing, confirmed Thursday she intends to vote in favour of keeping the federal long-gun registry. She joins five other NDP MPs, including Angus and Thibeault, who have said they will switch their vote. During the last session of Parliament, Hoeppner's bill, C-391, passed second reading 164-137 in a House vote with support from 12 New Democrats and eight Liberals, most of whom represented northern and rural ridings. While the NDP is allowing a free vote, Ignatieff has declared Hoeppner's bill a whipped vote, meaning all of his MPs must vote along with the leader or face discipline. In an interview this week with the CBC's Peter Mansbridge, Ignatieff vowed his MPs will show up in the House to save the registry, which was introduced by the Liberal government of Jean Chrétien in 1995. The Conservatives have long denounced the long-gun registry as wasteful and ineffective, arguing it unfairly criminalizes law-abiding Canadians who fail to register a firearm.